Archives for May 2017 | SmashToast, Inc.
Voice control in the connected-home market will rapidly expand the adoption of such devices, according to the latest forecast from Park Associates. Welcoming attendees to its 21stannual Connections: The Premier Connected Home Conference, which begins today in San Francisco, Parks is forecasting U.S. consumers will buy more than 2.3 billion connected devices between 2015 and 2020, and those consumers “are showing strong preferences for voice as the interface for their devices. Companies in the smart-home, entertainment and connected-car ecosystems are pursuing partnerships that can add voice control to a variety of solutions in the connected home. Voice control is the top trend for 2017 in the IoT and smart home and a main focus of discussion at Connections,” said Elizabeth Parks, senior VP. The new IoT forecasts were presented during the pre-show research workshops, with Parks analysts demonstrating that over 442 million connected consumer devices will be sold in the U.S. in 2020. These sales totals include connected entertainment, mobile, health and smart-home devices. Personal assistant devices, which include speakers with voice control such as Amazon Alexa and Google Home, are the fastest growing category, with a compound annual growth rate of 78.3 percent between 2015 and 2020. To date, getting into smart home technology has been a bit limiting. If you wanted home automation, the options weren’t exactly vast. If you wanted a smart speaker, Amazon’s Echo-system was where you turned. If you had other needs, or if other platforms that worked better for you, you were out of luck. This has slowly gotten better. Google Home has come along, HomeKit is off in the corner doing its own thing, and companies like Honeywell, Ikea and LIFX have entered the smart home arena. However, this week’s news has shown us that it’s about to get a whole lot better a whole lot more quickly. Soon enough, customers won’t have to bend their lifestyle and device preferences around what smart home products are available. Golly jee willikers, consumer choice, you say? Let’s take a look at the smartwatch world. You have a helluva lot of choice there. There are square screens and round screens, specialized smartwatches for running, health and good old fashioned adventuring. If you’re into style, there are a bunch of options from the big watch brands. Whatever your niche, there’s a smartwatch for you. And I can’t do that in the smart home world? There are two difficulties in the smart home world that makes that level of choice hard: price and platform. It can quickly get expensive to make your dumb home smart, and your options can be limited by whatever platforms you like to use. It’s kind of like putting a jigsaw puzzle together, except you have to buy all the pieces separately. Exactly. Hive, a British smart home company looking to make inroads into the US, knows that. So they’re putting together a subscription package that’ll allow American consumers to more easily dive into their ecosystem. Prices start at $9.99 a month, and you’ll get a thermostat and hub, some door and window sensors and a couple of lights. Why don’t more companies do that!? Because they didn’t have to. That’s the beauty of competition, my friend. The more companies enter the smart home space, the more they’ll experiment and try something new to win over consumers. Just look at Microsoft’s strategy for its Cortana speakers. Yep. Rather than create a signature flagship speaker, like Amazon has with the Echo, Google has with Home and Apple will with whatever it calls its Siri speaker, Microsoft is partnering up with third parties to make a bunch of different smart speakers. The first one is the Harman Kardon Invoke, and there are more on the way from the likes of HP. That… sounds like its Windows strategy. Pretty much! 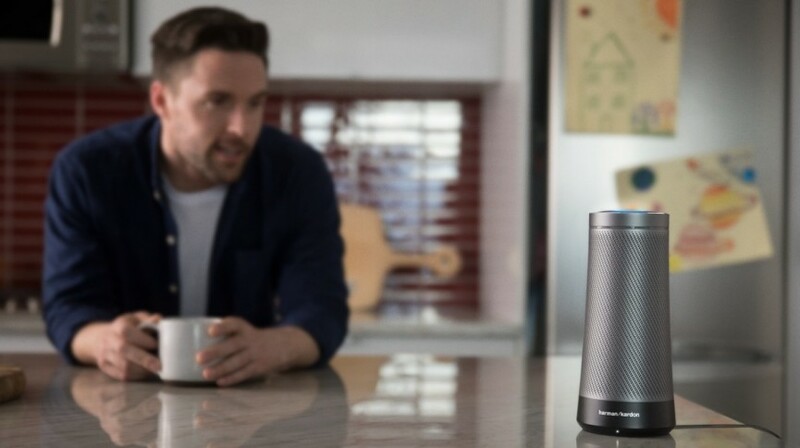 Speaking of Windows, these Cortana speakers will give those of us with a Windows fetish a smart home platform to play it. All of the skills developers build for these Cortana speakers will also carry over to Windows PCs with Cortana, cars and all kinds of other Cortana-enabled devices. Even your smartphone. Isn’t Amazon also trying to get Alexa into as many things as possible? Oh totally. Last week we heard about GE’s fancy Alexa lamp and the Echo Look, which is basically like a smart fashion consultant. This week Amazon debuted the Echo Show, which is basically an Echo with a big touchscreen display on the front. You can use it to video chat with other folks who have an Echo Show, and – of course – more easily buy stuff on Amazon. An Echo with a screen also opens the device to new demographics, like the elderly, which is abundantly clear if you look at Amazon’s promotional video for the Show. Oh, and remember that competition thing? We’ve known for a while that Microsoft’s Cortana speakers would bundle in Skype support, because duh. This week, Amazon started rolling out Alexa calling to all Echo devices. Coincidence? You be the judge. Indubitably. Soon, there’ll be plenty of choice in the smart home world. Whether it be jumping into home automation in an affordable way, smart speakers better suited to your Windows-based life, fashion-forward style or the need to video call relatives on a whim, you’ll have a healthy choice. How will both software and hardware components need to expand to meet the demands of IoT and smart home automation? That is a great question. 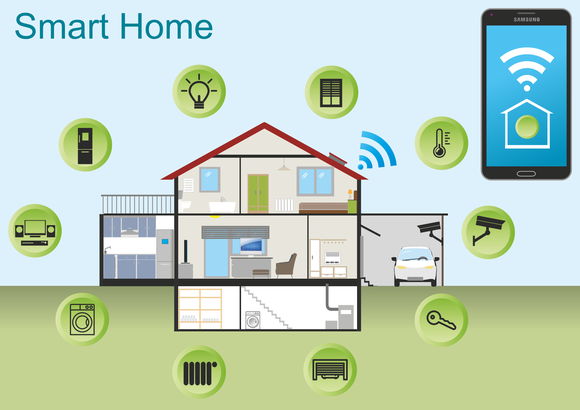 Personally, even though I’ve been working on IoT at Avnet for a couple of years now, I am not an early adopter myself of smart home automation. Why? Because I want Nirvana, and I suspect most customers will as well. What is Nirvana in home automation? To me, it is lights that all talk to your home automation hub (which might or might not be your smart thermostat), regardless of the vendor. It is having your door lock talk to your existing security system seamlessly. It is having your system control your motorized window shades and your lights, feed your cat, and talk to your watering system which uses weather data to optimize the irrigation for your garden and lawn. It also monitors your activity and tells your cleaning robot when to sweep up. All of this needs to be controlled locally (independent of Internet connectivity), but still configured and monitored remotely. Where are we today? People like to use words like “fragmented” and “diverse” to describe it. Many companies are competing for the ‘hub’ of the system, and there are competing wireless standards as well such as WiFi, Bluetooth Mesh, Z-wave, Thread, and ZigBee to name a few. This amounts to a tangled web of standards, software, and vendors. To reach the Nirvana I described above, I would probably need three or four hubs to manage each major system, each of which would need to communicate with my router, and none of this implements a locally autonomous system as a whole. Can we get to Nirvana? It will happen. On the software side, there is good news. We are already seeing many vendors integrate with the major automation cloud services like Apple Homekit, Amazon Alexa, and Google Assistant. However, we need to see coalescence of wireless standards. Once we have one, or at most two, accepted wireless standards, in addition to WiFi, then the major consumer router manufacturers will jump into the fray with products that can communicate and control most connected devices, driving the price down. Finally, the home automation gateways (as I think routers will eventually become) will have to be intelligent in their own right. There needs to be local (in-house) processing to be able to handle video security tasks; enact automation rules, such as what to do if a user flicks a light switch; and so on. This will happen soon, and then my home automation will have reached Nirvana. 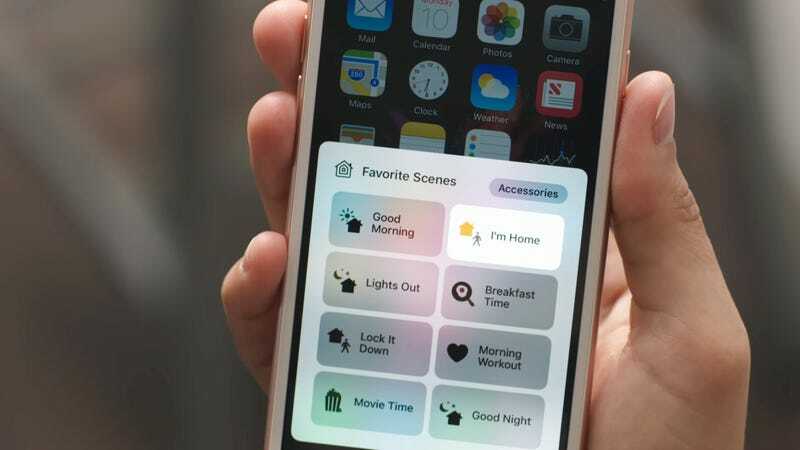 Many consumers have so far been reluctant to buy devices for the connected home, leading makers to focus keenly on delivering goods that can genuinely help with daily tasks. Your alarm rings. You hit the snooze button, triggering your coffee pot to start brewing and the lights to turn on gradually. Your mattress senses that you didn’t sleep well, and messages your coffee pot to select espresso. After a shower, you dress in an outfit recommended by your closet, based on the day’s weather forecast. And, as you sip that coffee, the fridge reminds you to pick up eggs, and that the chicken you bought is close to its use-by date. Meanwhile, preset music in the teenager’s bedroom motivates them to get going. What’s not to love about internet of things devices that make home life easier, and take the stress out of rush hour? Professional services firm PwC paints the above picture of an intuitive connected home in a recent report – Smart home, seamless life. 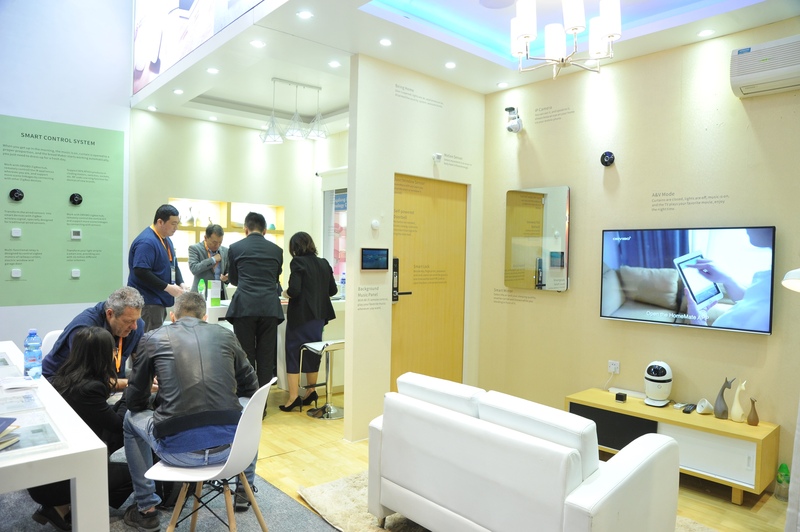 More than 850 buyers and exhibitors were surveyed at the HKTDC Hong Kong Electronics Fair (spring edition) that has just wrapped up, and some 70 per cent of them said, in terms of smart home technology, they expected wireless-system items connecting housing systems or appliances to the internet or mobile networks to have the best prospects. Yet, according to market research company Gartner, consumers in mature markets aren’t overly keen on the devices offered so far. Its survey of nearly 10,000 respondents in the United States, Britain and Australia found that, despite a willingness to embrace connected home solutions, only about 10 per cent of households have them. In order to win consumers over, says Amanda Sabia, principal research analyst at Gartner, manufacturers must push beyond early adopter use. “If they are to successfully widen the appeal of the connected home, providers will need to identify what really motivates current users to inspire additional purchases,” she says. So, what do people want? According to Gartner’s research, home security alarm systems have nearly doubled the adoption rates (18 per cent) of newer connected home solutions, such as home monitoring (11 per cent), home automation or energy management (9 per cent), and wellness management (11 per cent). Perhaps users just need time to warm to these devices: in the US, where such products were first marketed, overall adoption rates were 5 per cent to 6 per cent higher. Yet, the idea of having devices, appliances and applications fully connected to the smart home ecosystem has not yet hit the mark. Three-quarters of respondents indicated they are happy to set temperature and lighting controls manually, versus only one-quarter who expressed an interest in having household devices anticipate their needs. However, respondents are starting to see the value of one app integrating their connected home devices. A majority also noted the importance of hardware and services being certified by a specific brand. PwC’s market intelligence sheds further light. For more than half (57 per cent) of consumers surveyed in the US, the high cost of smart-home devices would deter them from buying. However, half of those agreed they’d be more likely to buy such devices if a payment plan was offered. Asked about which additional smart home features they’d be willing to pay for, privacy protection was the most popular: 75 per cent of consumers said they’d be willing to subscribe – per month or per year – for extra security. But maybe manufacturers should really be reaching out to women, who value smart home convenience above all. According to PwC’s report, female respondents said that, for them, a smart device “represents another set of hands, one less thing to remember on a long list of family responsibilities”. Some 60 per cent also said they’d pay extra for personalised customer service, which ranked second behind security among add-on features at additional cost. The cloud with its huge amount of resources brings the promise to provide almost endless processing and storage, however not for free. There are also situations when the connectivity link may not reliably work, depriving connectivity dependent smart devices of their “smart” appeal. Today’s smart hub refrigerator concept represents a good example for connectivity dependency with at least three embedded cameras always sending pictures to the cloud, where also the vision processing software is running. With huge amount of data /device sent to the cloud and full cloud dependency for image processing such solution is difficult to scale to millions of devices both from cost and operability perspective. We believe that a hybrid approach will be able to address above challenges. By using a hybrid solution, the vision processing task is partitioned into two pieces: embedded-AI on the edge, which is focusing on decisions the software has been trained for, and the cloud, where the machine learning/improvement resides. In the case of the fridge, the embedded-AI can identify items which are stored on a regular basis and are already a part of the library (For example eggs, milk, or soda cans). In this case, cloud connectivity and processing is not needed. However, as soon as there is a new food item/brand in the refrigerator which the embedded-AI can’t recognize, the edge will provide the images to the cloud which in turn will try to classify the data. As a result, the total cost of ownership goes down and the edge increases its operability. We envision future MCU and MPU will integrate dedicated hardware IP blocks which will be a (partial) hardcoded implementation of popular artificial intelligence software, like voice or image. The smart home is one of the fastest growing IoT segments with billions of new connected devices expected between now and 2025. 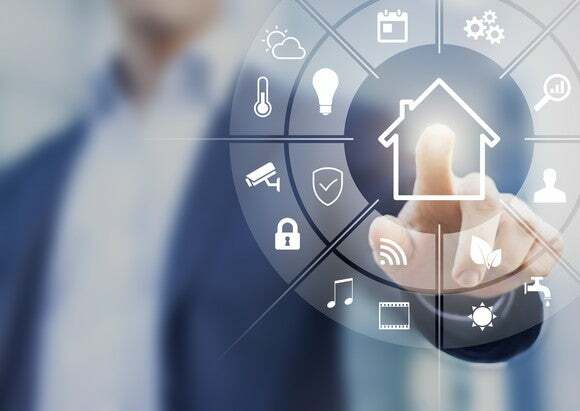 Several analyst reports estimate the average smart home will include from 50 to 100+ connected devices including appliances, lighting, security systems, and a myriad of wireless sensors. This rapid growth will only be possible through advancements in hardware and software components to address the following key needs: simple installation, seamless interoperability, uncompromised security, device management for field updates, and ultra-low power. Simple installation and seamless interoperability of IoT products across different manufacturers and wireless protocols are essential. The advent of multiprotocol, multiband wireless SoCs will enable device manufacturers to support multiple connectivity interfaces like WiFi, Bluetooth, and 802.15.4 (ZigBee/Thread) in their products while keeping device hardware costs in check. For example, connected products will be able to leverage Bluetooth for simple setup via a smart phone and 802.15.4 for reliable, scalable mesh networking with other devices—without significantly impacting device cost. In addition to supporting common RF protocols, true interoperability requires devices to speak a “common language,” which requires standardization at the application layer (i.e. dotdot, Weave, and OCF). Multiple “languages” will co-exist in the home, and automation software platforms will need to manage protocol translation. Uncompromised security demands continuous innovation in both hardware and software. Advanced hardware cryptography, integrated secure elements, secure firmware updates, physical tamper detection, and end-to-end (device-to-cloud) IP security are some of the key features required to secure the connected home. Device management is imperative to provide reliable and secure mechanisms to update firmware on devices long after they are initially sold and deployed in a home. Similar to how mobile app developers frequently push updates to their apps, connected product manufacturers need the ability to enhance product functionality and address bugs and security vulnerabilities without requiring a truck roll or product return. Finally, nobody wants to replace batteries on hundreds of products in their home. Improvements in battery technology, energy harvesting, and low-power operation of wireless SoCs and sensors will extend battery life and enable large-scale networks in the home. The future of home automation is bright, but also highly dependent on hardware and software innovation to bring home automation to the mainstream and realize the smart home vision. Consumers have high expectations for these products and are savvy buyers because of the time they invest researching products. I see four key criteria that engineers should focus on to meet those rising expectations. Security is critical, but can’t be at the expense of making the commissioning difficult or laborious. In some products, enhanced security has come at the cost of a more cumbersome implementation process for customers. But a straight-forward commissioning approach should not be readily sacrificed to achieve improved security; after all, it is the first experience the user will have with the product and plays such a big role in overall customer experience. Security and ease-of-use don’t need to be in opposition to one another, though. The most successful products will be the ones that offer both intuitive, scalable commissioning, and security features that can respond to evolving threats. Another key factor in a product’s success is wireless performance as reliable and robust as wired installations. Consumers no longer grade wireless products on a curve. They simply must perform as well as any other device. Luckily, advancements in WiFi with features like MU-MIMO and the upcoming 802.11ax standards, Bluetooth 5.0 and its inclusion of longer range and higher data-rate capabilities, and the variety of options for LPWAN technologies like LoRa will better enable performance along with required interoperability. Another area where customers are very savvy is battery life. It’s a key buying criteria for the consumer electronics they purchase, and the same is true for home automation products. Hardware must achieve better battery efficiency, especially for relatively power-hungry technologies like WiFi that have a broad appeal to many developers. Customers won’t tolerate the hassle or expense of frequent battery changes. The last thing that I will mention is real-time locationing. Improvements in the performance and cost to make indoor locationing capabilities more widely adopted could vastly improve the user experience for many dynamic IoT applications, particularly in building and home automation.